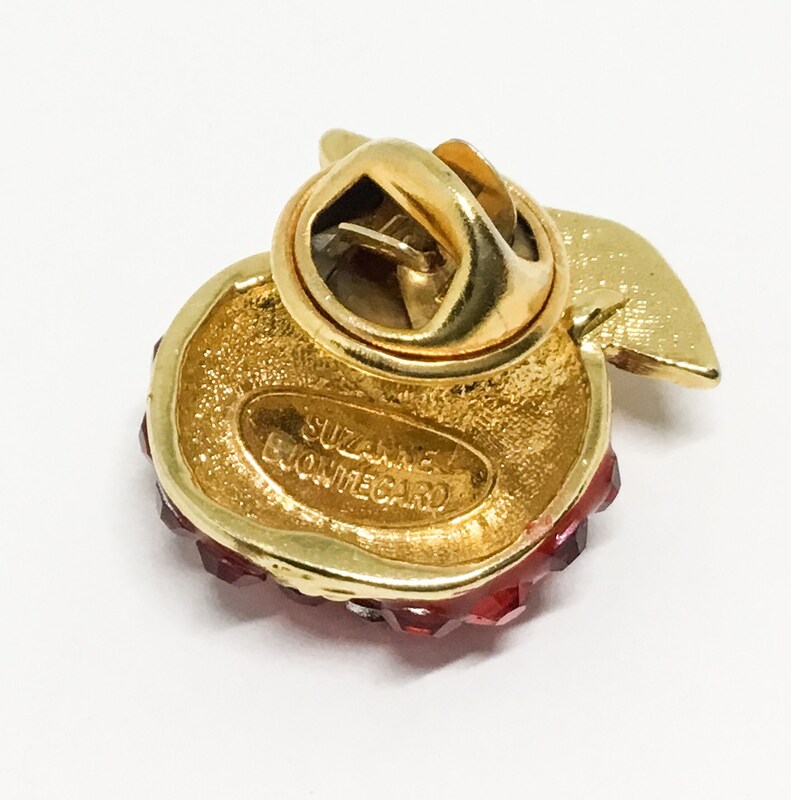 This is a sweet super sparkly goldtone 1980s vintage Suzanne Bjontegard signed cherry tac pin. 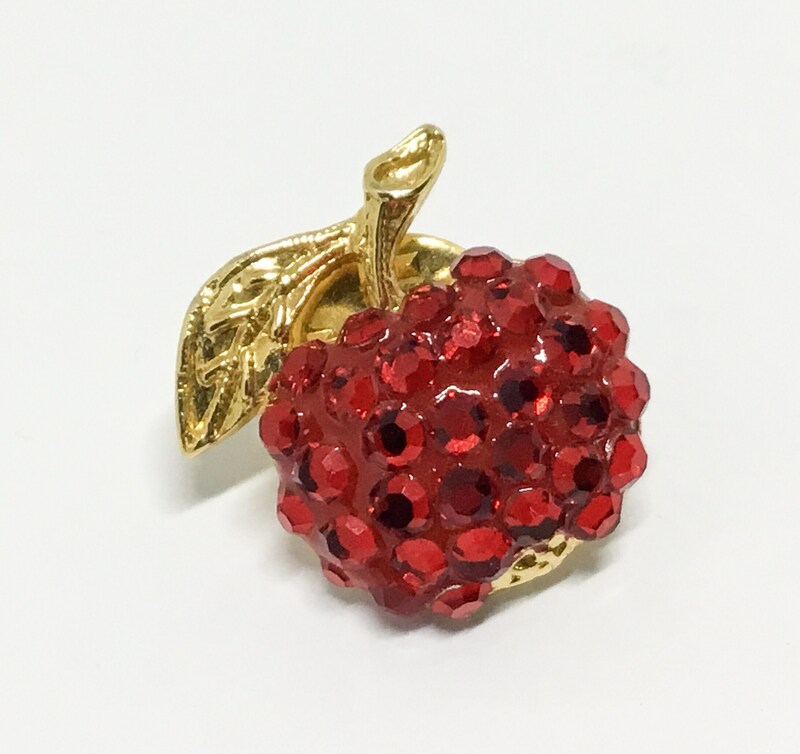 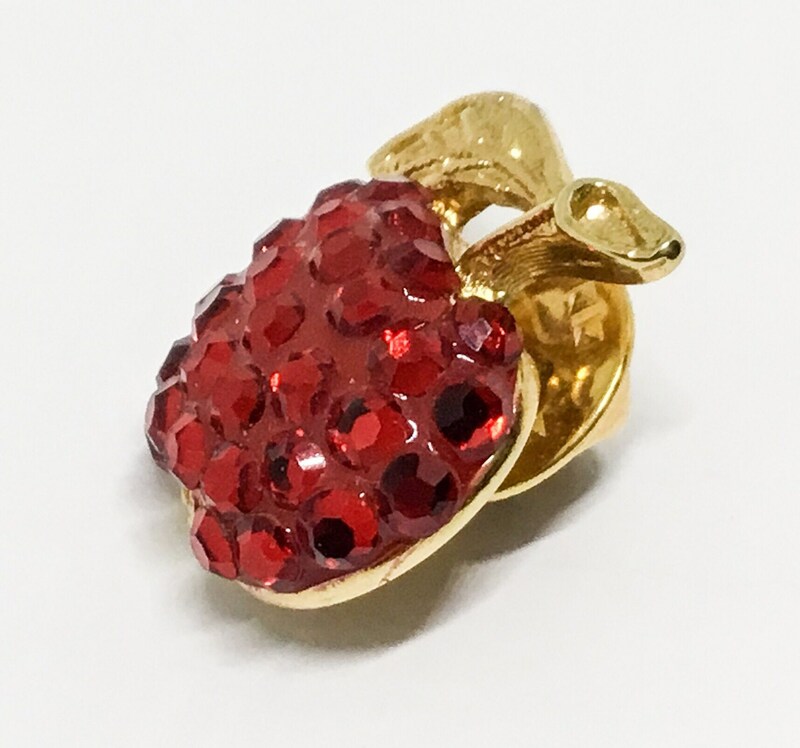 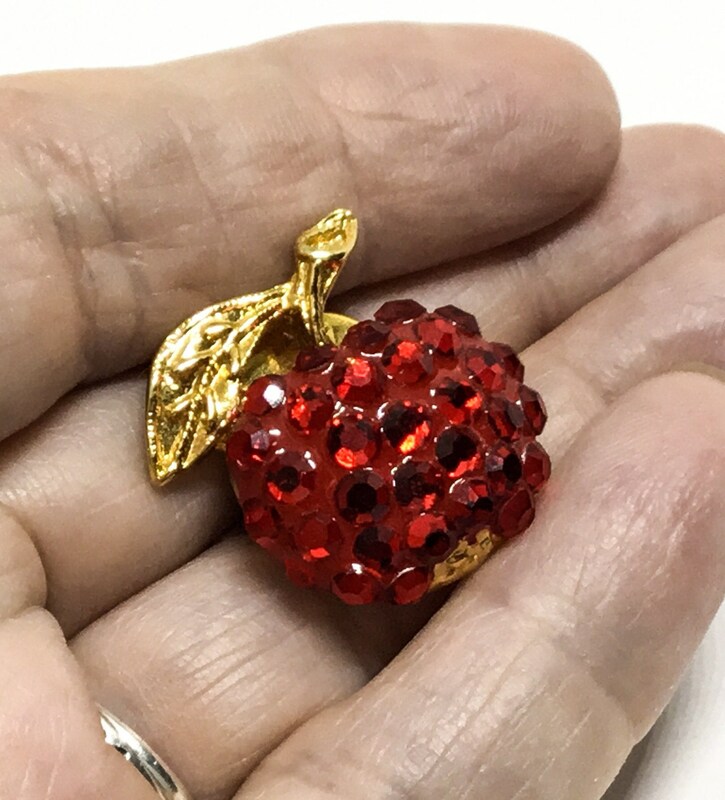 This cute fruit pin is covered in sparkly cherry red flat back faceted rhinestones on an enameled red background. 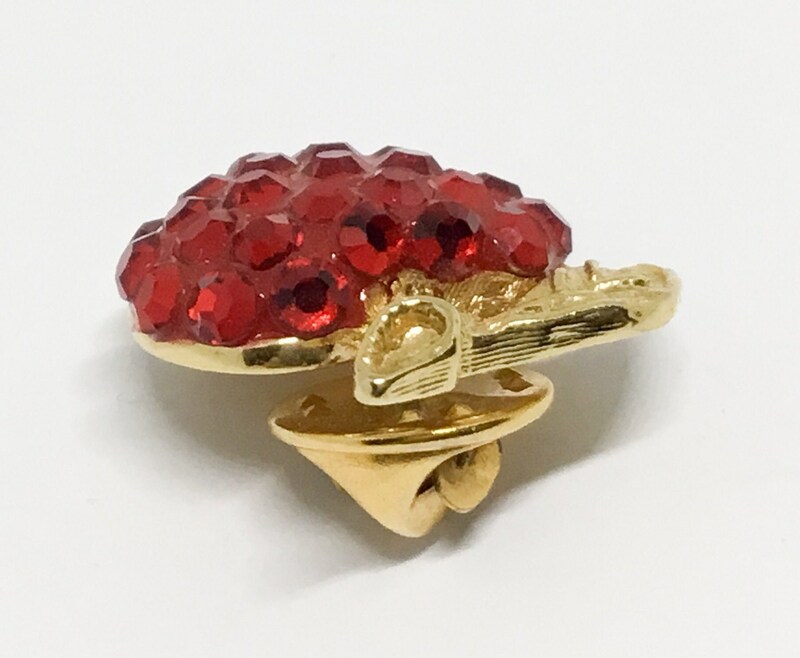 It measures approximately 1” in diameter and the tac pin closure works well. 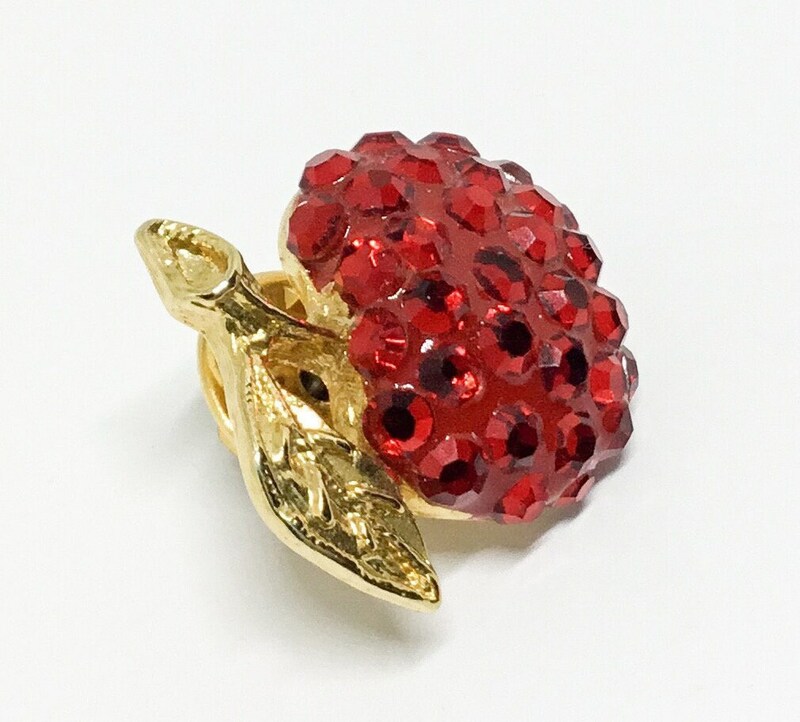 It is signed on the back and the pin is in excellent condition. 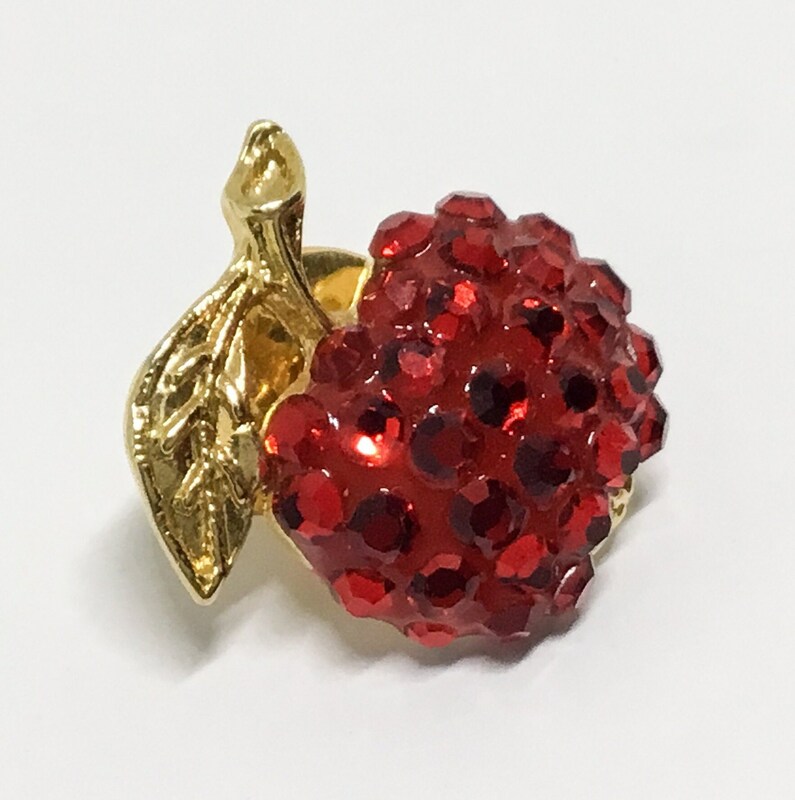 This cherry tac pin is ready to wear for any occasion and will make you look amazing!